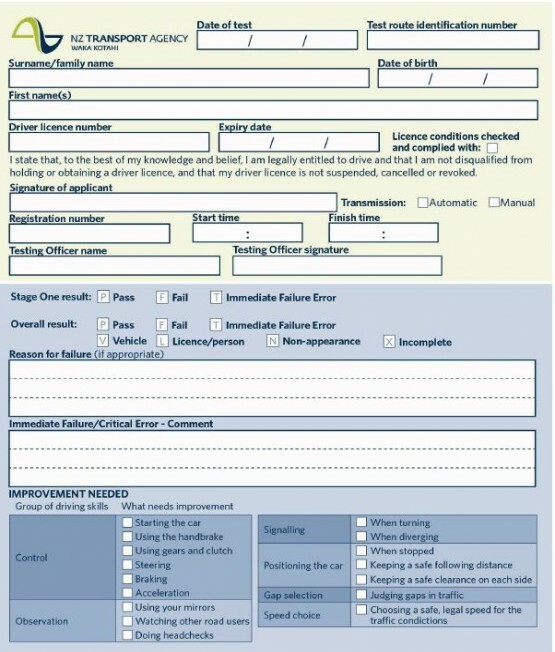 After you’ve met the Testing Officer, he or she will check your learner licence to confirm your identity. Then, they'll ask you to help them check your car to make sure it’s safe to take out onto the road. After that, it will be time to begin your restricted licence test. The Testing Officer will take you through a set route that will take up to 45 minutes. Once the test begins the Testing Officer probably won’t talk to you very much except to give you instructions. They need to concentrate on what they have to do and want to avoid distracting you with unnecessary talking. Don’t be worried or offended if they can’t chat with you during the test. The main part of the test will be used to check you display safe driving skills and can use good judgement across a range of driving tasks, roads and traffic. When you’ve completed the test, the Testing Officer will direct you back to where you began the test and will then tell you the result of your test and go over any errors you made. These types of manoeuvres are the ‘assessable tasks’ that the Testing Officer will check that you can do safely. There are seven assessable tasks in stage 1 and 18 in stage 2 of the test – 25 altogether. The Testing Officer will get you to do more manoeuvres than aren’t assessable tasks in order to complete the test route, but you won’t necessarily know which manoeuvres are assessable tasks and which ones aren’t. This means that you’ll be very busy and you’ll need to concentrate on your driving and be alert for the whole 45 minutes of driving time during the test. If you pass the test, the testing officer will keep your learner licence and give you a temporary paper restricted licence. This temporary licence is valid for 21 days and must be carried with you when you drive. Your restricted photo driver licence will be mailed to you before the temporary one expires. Your Testing Officer may give you feedback on the things you did well and the things you need to work on. They will give you a feedback form (see below) outlining these. It’s important to take note of the things you need to work on so that you don’t make the same mistakes when you eventually sit your full licence test.